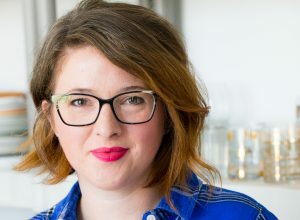 I’m on a mission to share our real life recipes. Those recipes that lack glamour but are filled with comfort and flavor. Simple. Nourishing. Crowd pleasing. And let’s not forget, easy. These Italian Stuffed Peppers fit every single one of these categories. So here’s how these peppers came about. Last Tuesday was the Baby’s 5th birthday. Birthday’s are treated with care in our house. The special birthday kid has the honor of choosing their birthday dinner, birthday dessert and what treat they would like to take to school for their class. For her school treat, little C picked treats Halloween Marshmallow Treats. For her dinner, she requested pasta with our slow cooker meat sauce – although she described it as spaghetti sauce with ‘small tiny pieces of meat in it’. I knew exactly what she was talking about. It’s one of our favorite meals, that we make pretty often. The only problem is that it makes a huge batch of sauce. Like ‘feed us for a week’ size batch of sauce. Is that a problem? I tend to think of it more as a bonus. One of the great things about this sauce is that it’s incredibly thick and full of ground beef, sausage, mushrooms and veggies so it takes on a more chili-like consistency. This makes it a fabulous recipe starter. So on Wednesday, with a fridge full of leftover meat sauce, I decided to mix up some quick stuffed peppers. The filling is just a few cups of the sauce mixed with cooked wild rice (I tend to have a tupperware container full of rice in the fridge at all times) scooped into hollowed out bell peppers. I used red peppers, but green, yellow or orange would all work beautifully. 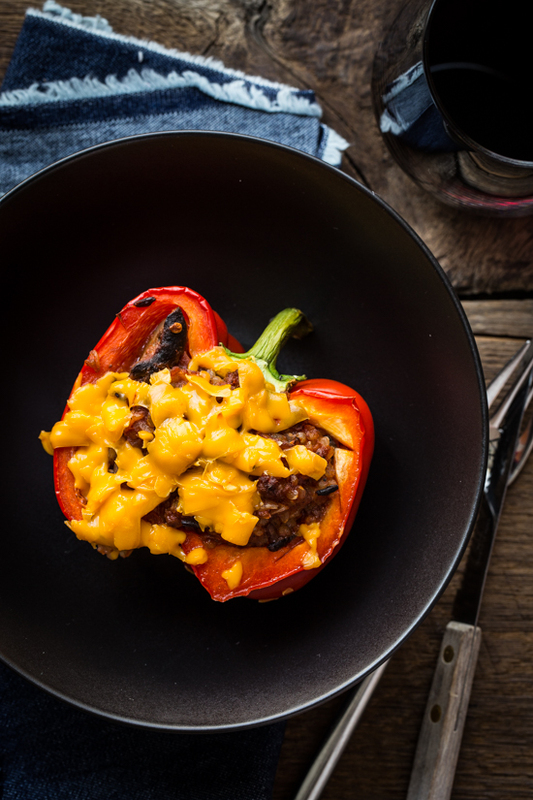 Topped with melted pepper jack cheese, the peppers were just the thing I needed for a quick weeknight meal. We have a bit more sauce that I tossed in the freezer that I’m thinking of thawing out and spooning over baked sweet potatoes. Who knows. This sauce is great for anything. Cut peppers in half and remove seeds and ribs. Line pepper halves in a 9x13 baking dish. In a large bowl, mix together rice and meat sauce. Divide mixture between the pepper halves. Add 2-3 tablespoons of water in the bottom of the baking dish. Bake peppers for 20 minutes. Sprinkle cheese over the tops of the stuffed peppers and bake for an additional 10-15 minutes or until cheese is melted and filling is hot. This sauce sounds amazing & happy birthday to your baby!! 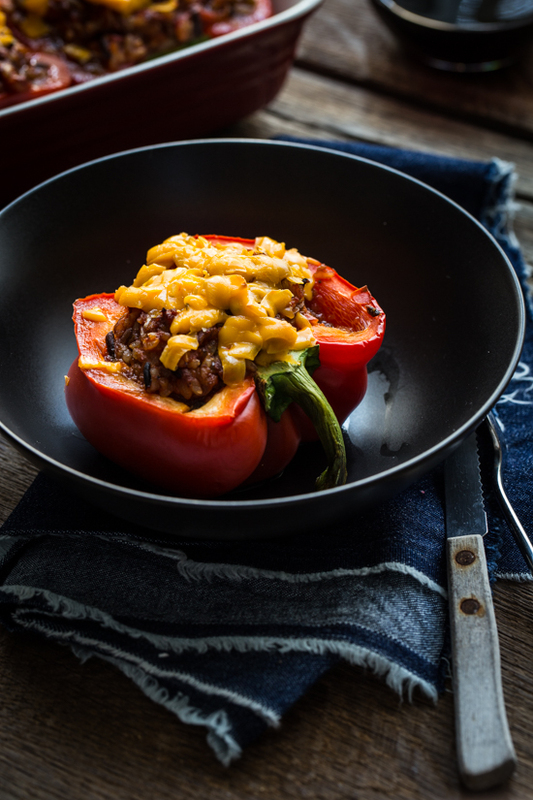 There’s nothing like a classic stuffed pepper – so comforting! I agree, Nicole! Thanks for stopping by! 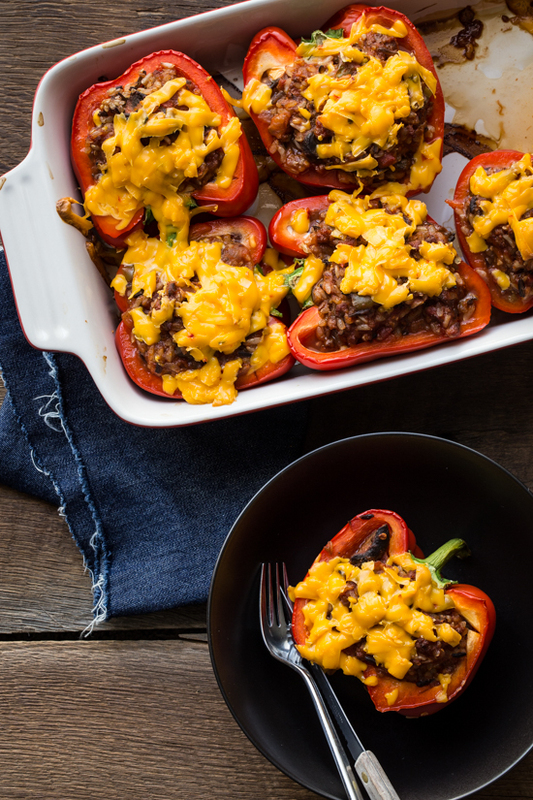 These stuffed peppers look SO delicious, especially with all that delicious cheese ontop! Pinned! I bet this sauce makes everything super delicious!! 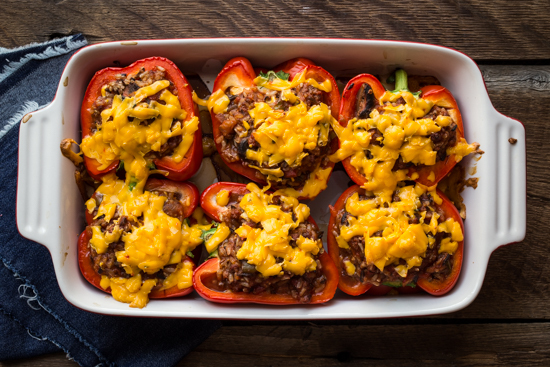 These stuffed peppers look so good…I had to call my best friend and tell her to make these for our next get together 🙂 Enjoy a restful weekend, Emily! how do you put pepper-jack cheese on ANYTHING ITALIAN?